For the past three years, we have piloted this program with several organizations, mostly around our hometown of Santa Fe, New Mexico; though we are also an ethical trading partner with Catholic Relief Services USA. Now, we’re expanding our program. You can become a fund-raising partner and receive 20% of purchases gifted back to your nonprofit organization! It’s easy to implement, and how much you want to participate is up to you. There is no cost involved, and you can leave the program at any time. We’ll give you great readymade images, suggested social media text, and a user code for our website which tracks back to you. For phone orders, we’ll just need the name of your org at time of order. We'll be in touch with from time to time, depending upon the season, just to keep you updated on what's going on in our shop. Posting during jewelry buying times, such as Valentine's Day or Mother’s Day, builds momentum for the holiday season, which is the strongest season for jewelry purchasing. The more effectively and regularly you engage with your community using our images, the better the chance that we can raise funds for you. Donations will be made on all regularly priced jewelry and colored gemstones, diamonds excluded. We will send sales reports quarterly—so long as there are sales. We’ll cut checks within three weeks after the 30 day return period is over. In return for all this, we ask you provide a link to our website from yours. Ethical/Responsible jewelry is a hot new trend, but unfortunately, this has not changed how jewelry is mainly sourced for North America. 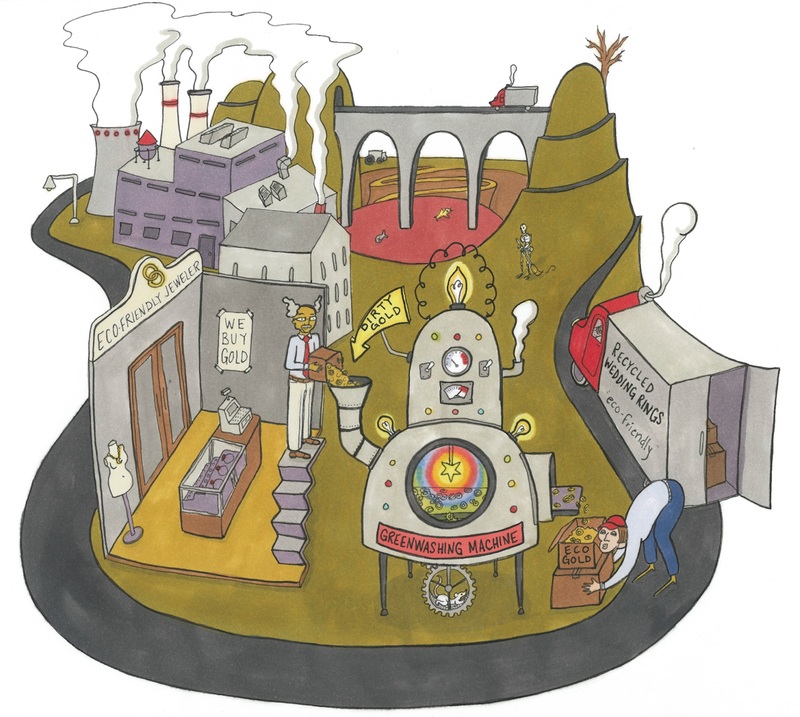 The US lags behind ethical jewelry initatives taking place in other parts of the world. 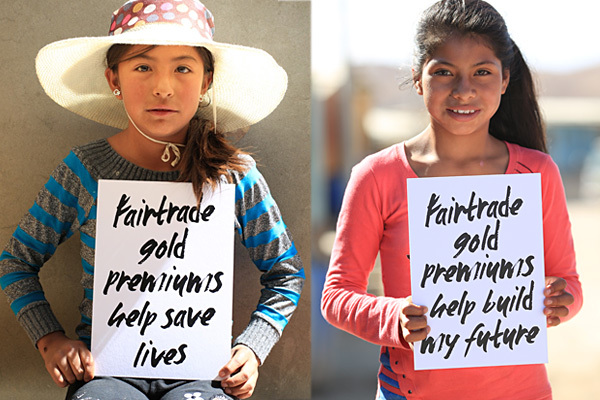 The most important movement is Fairtrade Gold. The 250 Fairtrade Gold jewelers in the UK have actually changed consumer perception of jewelry through ethical jewelry linked to the Fairtrade brand, which exists as an accrediting organization with independence from the jewelry industry. We are the only jeweler in the US that is Fairtrade certified. We have been the only Fairtrade Gold jewelers in the US for the past 3.5 years. In context to gold, "ethical/responsible jewelry" initiatives in the US are focused on "eco-friendly recycled" or "reclaimed" gold. Basically, it comes down to this: the US is the second largest jewelry market in the world (and about 12 times larger than the UK). 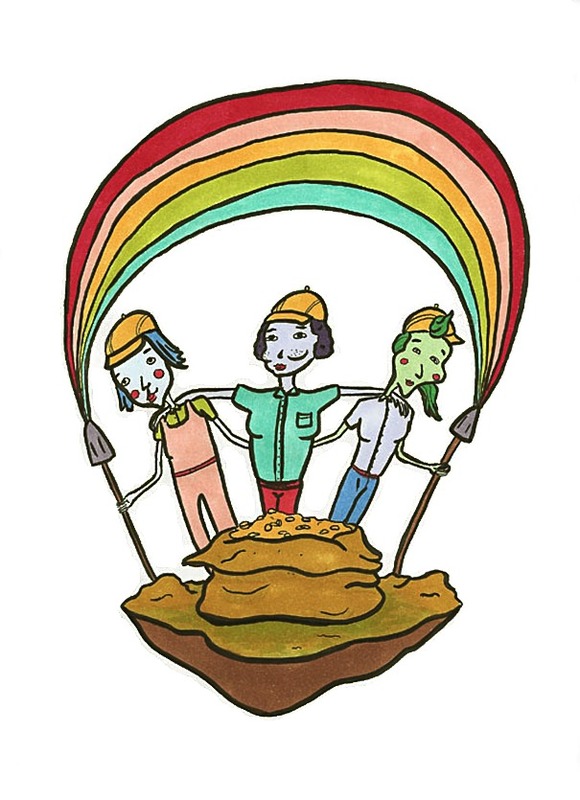 If we can build a strong Fairtrade Gold movement in this country, thousands of small-scale miners will be uplifted out of poverty and global mercury contamination will be reduced significantly. Learn more about how Fairtrade Gold works and the source of our gold. To build reach a consumer movement that will support local communities in the developing world, and align the talismanic meaning of jewelry with its sourcing, we need your help! We have to build alliances with organizations that share our concerns for the health of communities, our environment, and the wellbeing of future generations. We have been campaigning on these issues for nearly fifteen years. You can learn more about our strategy now in this section of our Ethical Jewelry Exposé: Lies, Damn Lies and Conflict Free Diamonds. We have been developing and piloting our Giving 20% Back program since 2015. In the past, we’ve mainly worked focused on holiday season. We are now extending our program to provide yearlong support. We are confident that this change will make our initiative more successful for everyone. New Mexico Environment Law Center, The Revolutionary Love Project, Santa Fe Desert Chorale, Catholic Relief Services USA, New Energy Economy, The Sierra Fund, Santa Fe Farmer’s Market Institute, Santa Fe Girl’s School. To join our program or learn more, contact Marc (at) ReflectiveJewelry.com or give him a call at 888-733-5238.